Baby Lily is sick and you have to take care of her! The cute toddler is feeling ill and shows several symptoms. Find out what's wrong with her to give her the proper medicine and help her recover. Take her temperature, use the inhaler device and gently massage ointment into the skin. Thanks to your loving care she'll soon be healthy and happy again, so you can dress her up for a fun play date with her friends! 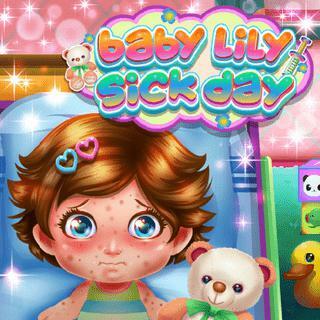 Baby Lily Sick Day - Find Baby Lily Sick Day in our vast HTML5 games catalogue. Only the best and newest HTML5 games for all audiences. Guaranteed success with Famobi.